Tyson Fury "I'll be the one to beat Klitchsko"
TORONTO (February 6, 2014) - It isn't just a 6' 9", 250-pound frame that distinguishes Tyson Fury as potentially the biggest superstar in British sport. After 21 consecutive pro wins, the trigger tongued traveller is on the cusp of challenging for the world heavyweight title and don't expect the build-up to slip beneath the radar. Everybody, it seems, harbors an opinion on Fury's fighting talent and kamikaze mindset - and not all of them are favorable - but Tyson continues to grow bolder with each passing victory. After a frustrating 2013 in which he fought just once and was twice left stranded at the altar by David Haye, the 25-year-old foghorn has penned a three-fight promotional deal with Frank Warren which should culminate in a summer blockbuster with European champion and former victim Dereck Chisora. Dormant for 10 months, Fury seeks to shed some rust in an international 10 rounder with American banger Joey Abell at The Copper Box Arena in London, UK on Saturday, February 15 and his disciples and detractors will be equally eager to see how he fares. Few are ambivalent when it comes to Tyson Fury. 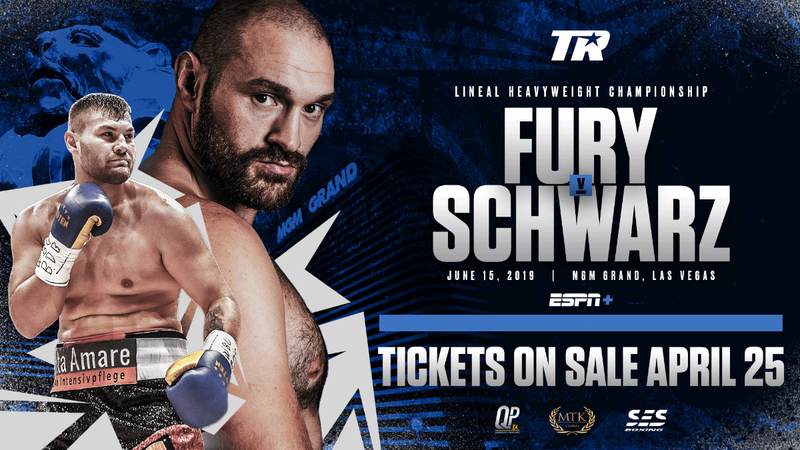 The big fella (Fury) certainly hadn't lost his tongue when boxing writer Glynn Evans called to discuss recent developments last Sunday morning. 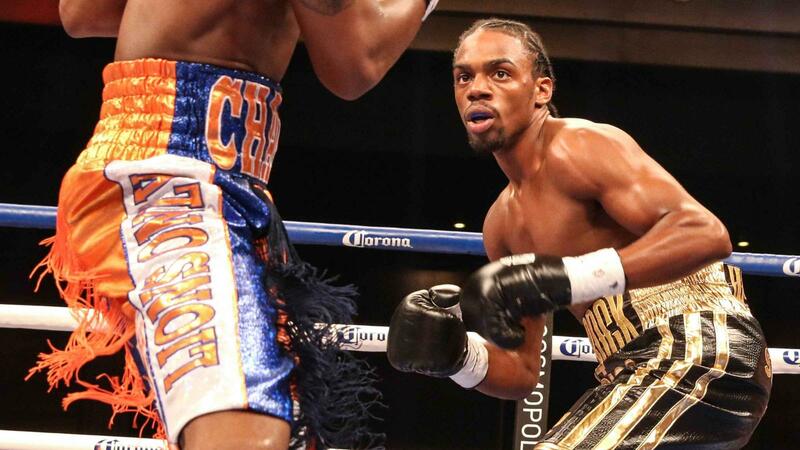 Last time out, in your IBF eliminator against Steve Cunningham, you were dropped early by a fighter almost three stone lighter than you yet roared back to win by the most spectacular of knockouts in round seven. Do you feel the Cunningham fight enhanced or harmed your image? "I couldn't care a damn. All I know is that it moved me forward. I'm not bothered how many times I get turned upside down as long as, at the end of the fight, it's my hand that gets raised and I move closer to my goal. 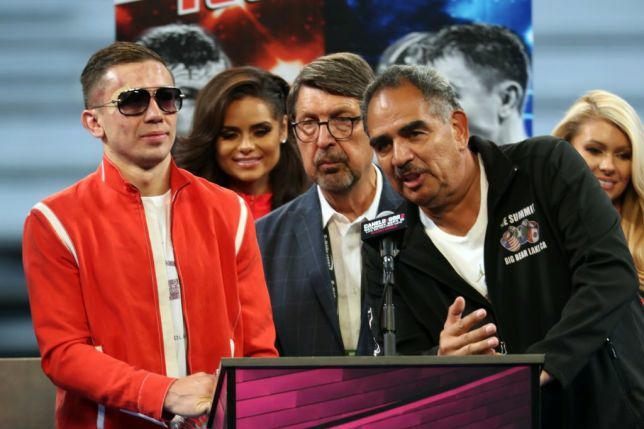 "Everything about the Cunningham fight, from fighting at Madison Square Garden in New York, to the build-up, to the knockdown, to the brutal finish, was great experience for me which I'll bank for later on. "I had a fantastic response from the US media and fans. 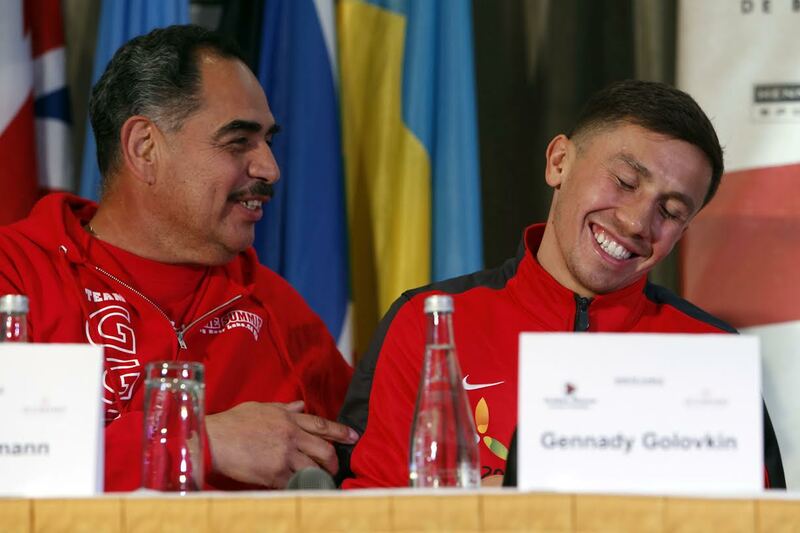 The Yanks love a fighter who can talk, who's a showman and I can certainly do all that. They even seemed to love the singing though I doubt I'll be making that a regular occurrence. I only know three songs. I've already exhausted my repertoire. I really enjoyed the excitement. It was certainly one of the best fights of my career." 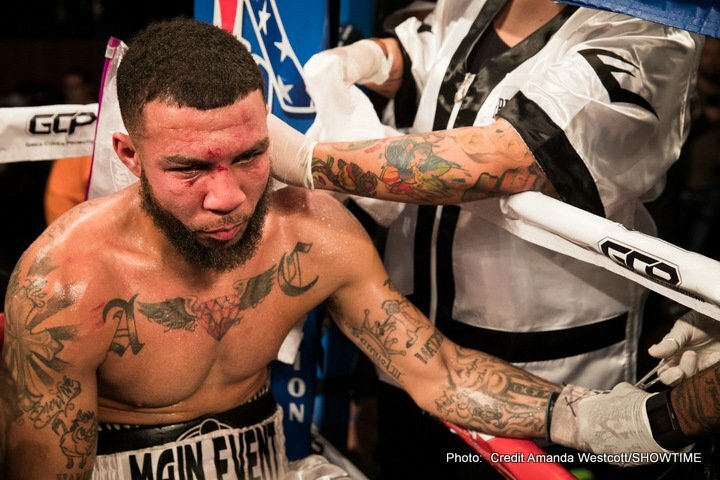 The Cunningham fight, an official eliminator for the IBF title, was supposed to pave the way for a final eliminator against Bulgarian beast Kubrat Pulev. However, your decision to pursue the mega-fight with David Haye instead cost you your IBF ranking and a guaranteed pathway to a contest with world heavyweight champion Wladimir Klitschko. That must be something you regret. "No, not really. I was going to get paid £5 million to fight in a huge, packed arena on pay-per-view in my home country as opposed to collecting a measly one hundred grand to fight Pulev over in Germany. "It was a no brainer. I'm a prizefighter and money is the prize that drives me. Rankings and titles don't put food in my cupboards and I've a wife and two children to support. If you don't risk, then you don't achieve. Unfortunately, due to David Haye, the gamble didn't pay off this time." Though you've been inactive from the ring since the fight with Cunningham last April, you've endured two world class camps for the brace of scheduled fights with Haye. Though those fights never materialized, in what ways did the preparation develop you as a fighter? "I didn't need to develop. I don't put a high emphasis on boxing ability even though some say that I've got plenty. What you need to succeed as a world-class fighter is toughness, being game, having plenty of heart and balls. Technical ability don't really come into it, in my opinion. "All the others will lose 'cos' they're s***. All I want to do is go in and have a fight, have a war; and may the best man win. I've fought good men yet I'm still undefeated in 21 fights. Clearly, that philosophy seems to work for me." There appears to have been a significant improvement in both your physical condition and your attitude since you began working with your Uncle Peter two years ago. What are his qualities? "It's about having respect and honor. My uncle is very straight forward and very strict which is exactly what you need when you're preparing for fights at world level. He's also on the job 24/7 and makes sure that we are too." At 25, you've finally developed the discipline to graft in camp but the Cunningham fight suggested you've still to acquire the maturity to stick with a game plan in the heat of battle. You've the size and technical skills to dominate pretty easily at that level yet seem to need the thrill of going to war. Surely that's something you'll need to address now that the stakes are being raised? "No! I do whatever I can to win the fight. Yes, I can box when I need to but I'm never going to stick to whatever game plan we may have set in camp if it means that I'm going to lose the fight on points by following that game plan. You've got to be able to adapt and every fight I enter with 25 game plans. If the technical stuff isn't working for me, then I'll just stick it on you and attempt to punch your brains out! "Pure rucking seems to work for me. Unlike all the other bums in the division, I can take whatever punishment comes my way.Okay, I might go down, I might wobble, I might get cut but I've shown that I've got the heart, the balls, the will, the resilience, to recover and win the fight. Again, unlike the others, I don't care about getting hit. It's a prizefight and that's my forte. Ultimately, I'm far to game and brave for any of them." Your activity on the social media sites has courted its share of controversy and strongly divided fan opinion about you. Retrospectively, do you regret any of the tweets? Is it important to you to be loved by the fans? "No regrets whatsoever. I couldn't give a s***. As long as fans buy tickets to see me fight or pay their pay-per-view fee, then job's a good 'un' as far as I'm concerned. I'm just trying to get on in life. If I'm man enough to put the posts up, I have to be man enough to accept any flak that comes back my way. What I will say is that, whether fans love me or hate me, I always deliver them with value-for-money. "An awful lot of people don't want me to succeed. By and large, this country doesn't like success. People perceive me as cocky and arrogant but I don't give a f***. I don't believe any man can beat me in a fight. Prove me otherwise. End of conversation." You've outrageous confidence in your fighting ability. What's that founded on? "Pure self-belief built on experience. From as soon as I began boxing as a teenager, I've been able to handle men who were double my age and had double my experience. At age 15, 16, I was sparring pro heavies and, mentioning no names, 'owning' British cruiserweight champions." In your late teens you accepted The Lord into your life. In what ways has your faith helped you as a fighter? "It hasn't assisted me as a fighter though I do give thanks for the fabulous life I enjoy as a boxer and I always pray that both myself and my opponent emerge from the fight safely. But it helps me as a person. I'm still far from perfect, I still continue to sin every day but always ask The Lord for His forgiveness. "My belief has completely changed my outlook on life. Like every man, I need money to provide for my wife and kids but I'm no longer obsessed with material things. I'm thankful every day for those other things that come for free; particularly all my family. One thing that I do covet is the platform that my success in boxing will provide in helping me to spread The Lord's gospel once I'm done. People tend to listen to the heavyweight champion of the world. "However, I'm very open minded and believe it's far more important that people lead good lives than follow Christianity. There's many religions - Buddhism, Islam, Sikhism, Christianity - and they can't all be right. Can man be punished in the afterlife for his ignorance? I don't believe so." David Price, your former amateur conqueror and long term verbal sparmate, unravelled in 2013, losing twice by stoppage to veteran US southpaw Tony Thompson. Where do you feel he went wrong? "In my opinion, the blame lies with (Price's ex-manager) Frank Maloney because he rushed David into the first fight before he was anywhere near ready for that kind of test. He was only in his 15th fight and all the recent opponents he'd been knocking out, like Audley Harrison and Matt Skelton, were long past it. Then he gets slung in against a seasoned world-class operator like Tony Thompson? "It was like asking someone to try to cross the channel between England and France when they can't even swim! David Price wasn't up to the task at that stage, needed to go some hard rounds but certain factors wanted to cash a pay check. "Don't dare compare me to David Price. Tony Thompson's almost as old as my dad! The way to beat him is simple. Wade straight into the old codger and within a few rounds, regardless of whether you're landing, he'll be blowing out of his 'arse.' It's a bit of a no brainer. If people haven't got enough between their ears to see that, they should pack it in." Do you still expect David to feature in your future? "Hopefully, David can regroup and still provide me with a big money fight down the line. You can never have too many of those. I pray that all my potentially lucrative opponents continue to do well until I can set my fists onto them. "Plenty of people are still stupid enough to think that David Price can beat me. I couldn't give a s***. I hope every future opponent enters with reps as invincible ogres. The more faith people place in my opponents, the bigger the fights become, and the more money that ends up in my pocket." Your 19-year-old cousin Hughie and 2012 Olympic super-heavyweight champion Anthony Joshua are both being mooted as potential future world heavyweight champions. How do you rate them? "Hughie's the real deal. He's really dedicated and a great listener. Outside of boxing, he's polite, doesn't disrespect anybody and is a very nice person. As a fighter, he's tall, a very good boxer with a good brain and he's benefitting from great sparring. Like all of our family, he's got that 'never say die' fighting spirit. That's just a natural thing us Furys have. Now it's a case of developing Hughie through the right fights; proper tests not 'knock over' jobs against lemons. He needs to face a few tall ones, a few squat ones, southpaws, orthodox, runners, punchers...the whole shebang. "I saw Joshua in the Olympics and thought he lost every fight he had. Now he's got a s*** trainer in Tony Sims so I don't see how he'll develop as a pro. After four or five rounds his tongue will be hanging out six foot! I really hope that Eddie Hearn doesn't start getting ahead of himself and start trying to match him for titles or putting him anywhere near Dereck Chisora as he's foolishly talking about 'cos he'll get sparked out. He's another I want to see get fed easy fights, built up to 20-0. If he gets beat any time soon, there's no mega payday for me down the line. He'd be easy lolly." Do you feel unjustly treated by the WBC who recently matched Bermane Stiverne against Chris Arreola for the title vacated by Vitali Klitschko? Arreola was comprehensively beaten by Stiverne just nine months ago and you'd won an official eliminator against Kevin Johnson in December 2012. Why not you and Stiverne? "The world of professional boxing is crazy; riddled with mad politics. When I accepted an IBF eliminator after already defeating Kevin Johnson, I predictably slipped down in the WBC ratings. Now I'm being steered towards a WBO final eliminator against Dereck Chisora, I expect all the other sanctioning bodies to f*** me off. But I've got to take whatever opportunities provide the quickest route to a shot at a world champion. "I think Stiverne will beat Arreola again when the vacant title's on the line. He looks decent; strong and solid, tough, a good combination puncher. Arreola has not only come up short against Stiverne previously but also against Vitali (Klitschko) and Tomasz Adamek before that. How can he be more worthy of a shot than me? "But one thing I have to make clear. I fight for money, not belts or glory. I'm a prizefighter and pound notes are the prize. Provided the money is right I'll fight any of them." Hovering beneath Stiverne and Arreola in the WBC rankings is big hitting US hope Deontay Wider, the former Olympic bronze medalist who's wiped out all 30 pro opponents inside four rounds. His CV also pales in comparison to yours. Is a showdown against Wilder a challenge you'd covet? "In time but that's not a money fight at the moment. HBO don't want to know because there'd be no title on the line and there's no Box Office (pay-per-view) interest here. Right now, there's nothing on the line. But we've both got long unbeaten records, we can both bang and we both talk so potentially it's a blockbuster. When it comes down to it, I'll handle him exactly as I'd handle all the others. "Boxing is a business, of course, but when I'm actually inside the ring, I'm never thinking about money or titles, I'm solely focused on proving myself the better man. It's not about game plans, it's about heart, toughness, desire, cajones. It's all about one against one, manos y manos, and I know I'll never come up short. "Deontay, like all the others, is just a pretender. They're all wolves in sheep's clothing. In me they'll meet a real wolf and I'll shred them to pieces!" You've made a three fight commitment to Frank Warren and BoxNation which will conclude with a monster rematch with European champion Dereck Chisora at a football stadium this summer. Why did you opt to pursue this course? "Simple. For a while I've been ready and waiting for big fights. Frank Warren pulled his finger out and produced the goods, put money on the table. That's what this is all about. I've already beaten Dereck Chisora but I'll happily beat him again for another fat, juicy pay check." After nine months out, what do you expect to achieve from your return to the ring against American puncher Joey Abell on Saturday week. How important is it to you to outshine co-headliner Chisora? "I'm just looking forward to getting back inside the ring, moving around and dusting off a few cobwebs. It'll also be nice to gain a few quid again because I've been away a long time and I've mouths to feed. 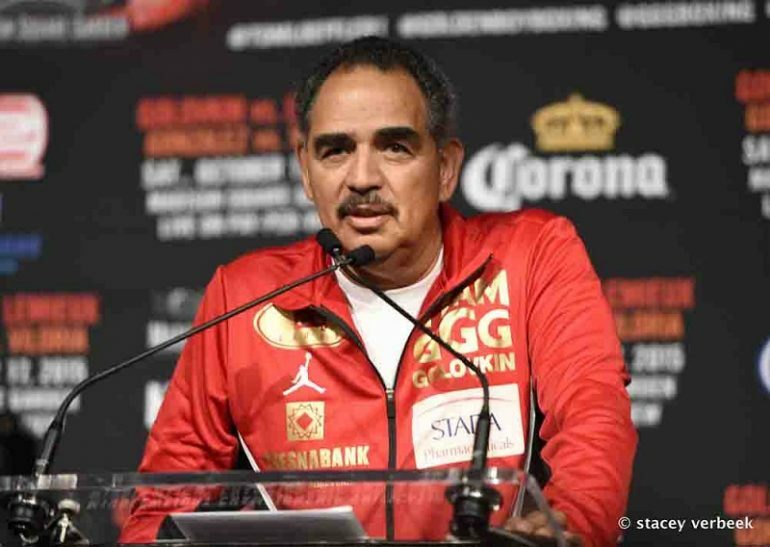 "It's a brilliant idea of Frank Warren's to put me and Dereck side-by-side on two consecutive bills to drum up interest in this potential WBO final eliminator in the summer. But I've no concern whatsoever in outshining Chisora. I'm simply interested in having a couple of warm-ups and a couple of pay checks to secure the fight with Chisora, a fight where victory will guarantee me moving on to bigger and better things." 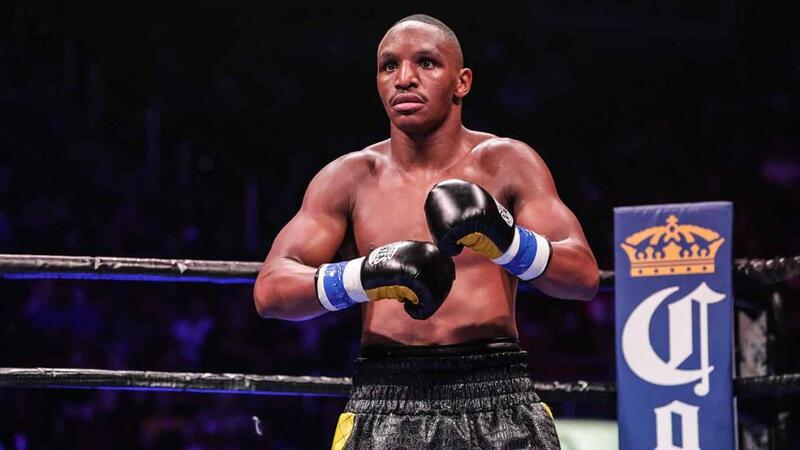 In the co-header, Dereck meets leading American Kevin 'Kingpin' Johnson, the former WBC world title challenger who you comprehensively schooled over 12 rounds in late 2012. How do you expect 'Del Boy' to fare? "I expect it to be a very good fight but a fit Dereck Chisora should beat a Kevin Johnson who's only had a few weeks-notice. But if Kevin had ten weeks-notice, 'Del Boy' would be in trouble 'cos' 'Kingpin's' a helluva fighter; a master boxer with a pack of tricks. But, like when he fought me, Kevin's not really had the time to get himself right." You and Del are on course to collide in a WBO final eliminator in the summer. Your first spat was extremely lively both in the build-up and after the bell sounded. What can we expect in a rematch? "No two fights are ever the same. We'll have to see what happens on the night. All heavyweights can punch which is what makes us so exciting, what attracts the fans to watch us. Dereck gave me a good fight last time - I respect him for that - and has definitely improved since. This time I'm hoping he turns up in shape, no excuses. Last time he only had three months to get himself ready?! How long does he need? "People keep banging on about how he's lost three stone (42 lbs.) since then but I doubt that will change anything. It was that added bulk that helped him to absorb my bombs and last the distance last time. Yes, I've shown I can be hurt, shown I can be dropped, but Dereck has shown he can be beat, shown he can be knocked spark out. That's the form line. What better passage to a world title could I ask for than a final eliminator against a man that I've already beaten convincingly? "After I destroy Chisora again, I'll be the person to finally beat Wladimir (Klitschko) and go on to become a legend of the sport. There's not one ounce of doubt in my mind that it's going to happen."